Photo: Algae with beta carotene covering cypress tree. Point Lobos, California. Algae with beta carotene covering cypress tree. 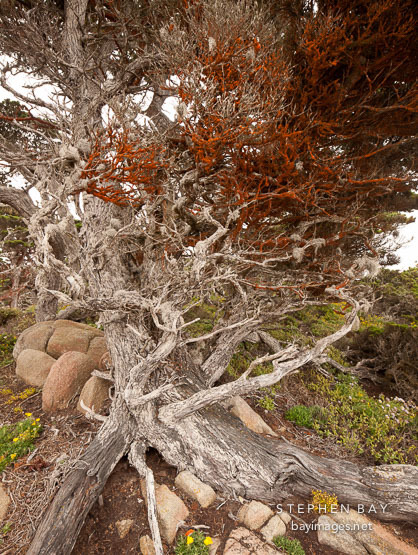 Point Lobos, California.